we love sharing all the ups and downs as we continue to produce the first ever portable espresso coffee machine. Check-out The Porta Presso development updates below as we fast APPROACH our july 2019 release. over the last couple of months The large majority of the work that has been done has been on screen design work and electronics engineering. On the design side of things, we have put in a lot of work into redesigning both the exterior and mechanical design of The Porta Presso. It was necessary that the exterior design was adjusted alongside the internal changes that we have made. 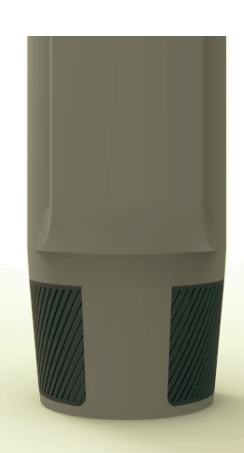 The render below shows our current design that our most recent prototype has been made from. A lot of time has been spent redesigning the internal structure of The Porta Presso to support a fully battery powered unit that does not require any gas as a source of energy. With a key focus for us being portability, The Porta Presso needs to be both lightweight and small in size. The removal of the original C02 canister system has meant an increase in battery size that has involved a lot of planning, design work as well as hands-on testing to ensure that the most appropriate battery is used, and a good balance is found between battery size and the unit housing size. Whilst it is important that the battery has enough power to produce the required cups of coffee, this cannot be in excess as this would be an unnecessary size increase. With portability being a top focus our new prototype has been designed to produce two cups of coffee. at a later stage we do look to conduct tests to potentially increase the amount of coffees per PREPARATION. As always, thank you to everyone for your ongoing support. As always thank you for for your ongoing support and here is an update as we continue to progress with The Porta Presso journey. Even before the plant that bears the coffee fruit has begun to grow, there's a very important factor that will influence the crop - the variety. It's not merely Arabica vs Robusta. Within the species Arabica, there are dozens of known varieties and more being discovered and created with time. Then there is Terroir. Terroir is one of those lofty terms that can alienate some people, but really, terroir is just influence of where the coffee is grown. We all know that coffees from Kenya generally taste pretty different to coffees from Brazil. We also know that coffees from nearby areas can have similarities. These are the results of the influences of terroir. The practices of the farm where the coffee is grown will have a huge impact on the taste of the coffee you drink. Everything from the use of chemicals to planting patterns & pruning regimen are ultimately going to affect the nature of the crop. One particularly important farming practice is picking. Much as with other agricultural crops, coffee is best when it is picked at optimal ripeness, but of course, coffee cherries don't ripen at a uniform rate. This means that for the best results, cherries must be picked by hand, by labourers who are trained to pay attention to the ripeness of the fruit they are harvesting. Once a coffee cherry is picked, the coffee seed has to be dried before being transported and eventually roasted by a roaster. The ways that this is done can vary widely and can have a huge influence on what the coffee finally tastes like. The roaster helps to realise the full potential of the coffee by carefully crafting a roast profile that will suit that set of beans. This isn't as simple as light or dark. The roaster has to fine tune variables like roast time, temperature change, rate of rise, drum speed, air flow & cooling speed. Last but certainly not least, brewing is the final stage in the process from soil to palate, which does certainly play an important influence on coffee flavour. Taking all of the above into consideration we feel we have narrowed it down to a few different blends which we think are among the best coffee beans in the world. We will be offering a variety of different blends with The Porta Presso to suit peoples’ different tastes. The last couple of months of The Porta Presso machine development have been both rewarding and incredibly challenging. During our testing phases we have encountered challenges around the quality of the coffee not being up-to the standards we have set ourselves. We have been able to single out the main contributing factor to this being that the C02 being used to generate pressure, although it does its job, it tarnishes the overall flavour of the coffee produced which was a concern as quality coffee is our primary objective. 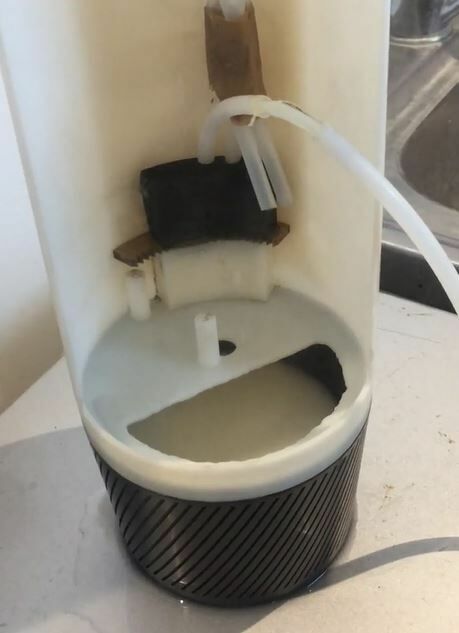 This is an unfortunate result in the development of The Porta Presso and we have since had to have some of the primary compartments re-designed and manufactured for further testing. the porta presso team has finalised a solution which we have proved to be feasible and are now underway with further testing. We feel that the decision to move forward without the C02 concept will ultimately be for the best, and will produce a better end result. 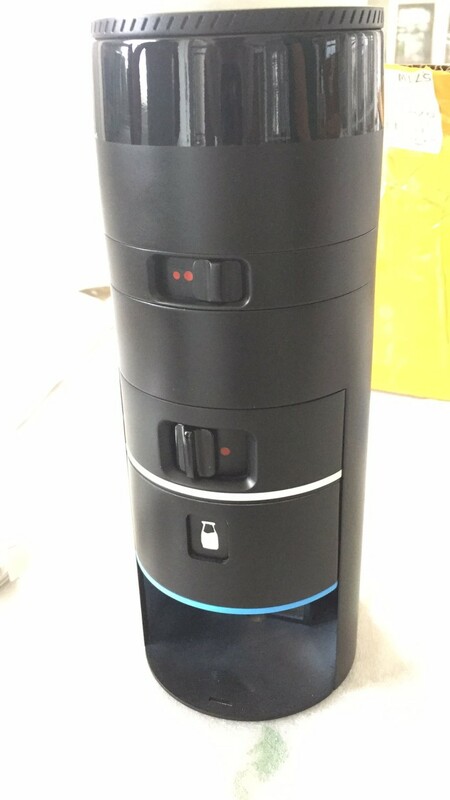 This will mean that users will not need to continue to replace C02 canisters and instead will only need to simply recharge The Porta Presso which is a huge cost saving to the end-user of the product. We are mindful of the fact that many people have already ordered their Porta Presso with C02 canisters and we simply plan to refund all orders where the C02 was purchased individually and where bundles were purchased, we plan to compensate in an extended bean subscription. If you feel unsatisfied with this resolution, please don’t hesitate to contact us and we can look at an alternate solution. Since revising the initial design, we have made quick progress and are currently running the heating chamber until we reach 9 bars of pressure (this is the commercial optimum pressure). Once the desired pressure is achieved we open the valve to the portafilter basket, extracting the shot. We then run the shot from 9 bar down to 3 bar which takes around 20-30 seconds. Once the shot is extracted, the remaining 3 bar of pressure is used to aerate the milk. The resulting temperature we are receiving from both the frothed milk and the extracted shot falls between 40 - 50 degrees This is extremely positive as the milk is reaching 60 degrees initially and once cooled slightly and mixed with the shot, this falls to a drinkable temperature. We are now integrating customisability into this process. Constant 9 bar of pressure is common in most coffee machines. The way The Porta Presso is currently designed means that the hot water being fed through the coffee grinds begins the pour at 9 bar of pressure, then drops off to 3 bar. A leading espresso machine brand uses the same pressure system as a positive feature. This curve in pressure results in a fuller flavour extraction by being less harsh in the final stages. This variance in pressure we believe will become a sought after feature of The Porta Presso. We look to reveal the final Porta Presso design in a video, showcasing both the interior functionalities and exterior aesthetics. We look to have this out to you in a later update prior to going into tooling and full production. Photo shown is from one of our milk frothing tests and had no coffee added. We also understand that some backers addresses’ may have changed since placing their order for the Porta Presso, and consequently we will be emailing everyone to confirm all shipping details prior to the dispatch. Thanks for your continued support and thank you to everyone who gave us their feedback and voted for their preferences with regard to the LCD screen interface from our last update. Following our last update, we have made great advancements in the development of The Porta Presso. Since our last update, we incorporated in the ability for the user to adjust The Porta Presso grinder settings to adjust the size of the grinds. As with any coffee grinder, over its lifespan, it will eventually wear with use. By being able to adjust the grind settings it will allow users to simply adjust the settings slightly, making the grinds finer if the grinder starts to wear instead of needing to fully replace the grinder. The Porta Presso team have made vital progress with the portafilter basket height adjustment to allow it to seal off the tamp. We have redesigned the portafilter basket slide in order to achieve a better seal when straining the coffee grounds. This involves a manual tab that is pushed across when inserting the basket. This slide pulls the basket in the extra 5mm and then screws it up onto the seal. When removing you slide it back the other way and as you do it will release from the seal and force itself out 5mm for better grip to remove the basket easily. Not only does this design allow us to fully seal off the chamber to allow us to generate the pressure required but it also acts as a failsafe to ensure that the portafilter basket will never come out unintentionally. The image below shows the two current manual adjustments of The Porta Presso. The coffee grind adjustment (top) and the seal adjustment (bottom). Please note: this is a rendered image for engineering purposes and is not an image of the final exterior aesthetic of The Porta Presso. Everything needs to be sealed off efficiently to ensure that during the espresso brewing process the coffee is able to be abstracted at the optimal 9 bar of pressure. This has been an important phase of the development to ensure that the coffee produced is of high quality. To optimize this, we focused on the seal design for both the lip and ring seal around the portafilter basket along with the O-ring between the cup and cup collar to prevent any leakage. We have also re-engineered The Porta Presso cam system which developed excessive wear during the previous tests. A new motor will replace this initial system, which was finalized before sending off the remaining parts to our prototype manufacturer. To house the new motor, we have expanded the backpack slightly. This is a better resemblance of what the final product will look like, and cut in from the top. This is subject to change, as this may be able to be scaled down with production materials. After refining our designs, we had our updated parts manufactured and a new Porta Presso prototype created. The key parts in the new prototype have been machined in aluminium in order to withstand the operating conditions and allow us to conduct extensive testing. Bellow a diagram of The Porta Presso's new test rig with both the valving and heating chamber external to the machine housing. This is to allow for a complete run-through of the brewing process but also giving us the ability to work on one component at a time allowing us to improve each aspect one by one. Once we are happy with the standard at which each individual element operates then we will work on incorporating these parts back into The Porta Presso housing. 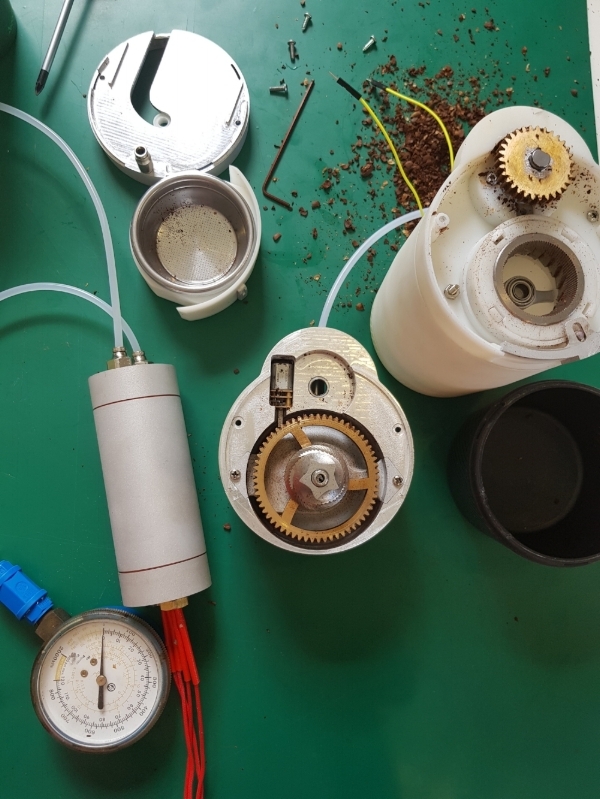 All the parts for The Porta Presso prototype are now functioning and all aspects of the system work individually, we can successfully grind beans, boil water, extract coffee and froth milk. From here it is refining each element, inserting everything into The Porta Presso housing and then beginning our tooling/manufacturing process. Since our last update a lot of work has been done with The Porta Presso’s development. We have finalised the manufacturer that we intend to use to produce our final product. After liaising with multiple different manufacturers we have found the most appropriate one to work alongside our team with the production of The Porta Presso units. The manufacturer we have chosen have a commendable background in the coffee industry and we pride them on the quality of their products, thus making them a good partner for us. In our last update we were heading into extensive testing with our test jigs to allow us to generate accurate test results and test multiple functions of the device. The Porta Presso team has been hard at work putting a lot of time into this with our main focus being on generating enough pressure to extract the coffee at an optimal setting and the heating/frothing of the milk. One of the main problems we had originally anticipated was not being able to generate enough pressure. However, we were pleasantly surprised when our first test jig generated such a substantial amount of pressure that it blew out the joints of the test jig. This test jig was manufactured from prototyping material, not the material to be used in final production however we have since redesigned the test-jigs with more durable materials to enable us to undertake further testing and achieve the required 9 bars of pressure. The process of heating and frothing the milk has been tested, with the team originally aiming to replicate settings such as amount of froth and temperature off a standard New Zealand cafe latte. From here we look to expand and include settings for other common coffee types. The results from this were also very pleasing and our design has been confirmed to be feasible. While we are yet to encounter any major setbacks, we have found that every stage of the testing process is taking longer than originally anticipated. We have made it clear that we won’t settle for anything less than the perfect espresso coffee and as a result we have found ourselves investing significant time into the testing and calibration process in order to achieve this. This has also lead to the need to get custom parts redesigned and re-manufactured as they weren’t as perfect as we wanted them to be. We noticed this trend early in the development phase and in order to operate in the most timely manner, we have honed and manufactured multiple slightly different parts for the same purpose and tested this on a trial and error basis for all aspects of the machine. This has not only saved us a lot of time, but it has also enabled us to determine which methodologies are most appropriate. With more custom parts being manufactured as we speak, over the next couple of weeks we look to combine each element of the brewing process, which are now individually functional, into a single device. Following this, next month we look to have all of these individual elements working cohesively and inserted into The Porta Presso’s housing. From here, we look to refine the user interaction process to ensure it is beautifully functional and easy to use. We will thereby move into further tooling and overall interior and exterior refinements to ensure everything is working to the high standards that we have set ourselves. Overall size: Where possible getting rid of excess space and strategically position internal components to keep the size of The Porta Presso as small as possible to ensure it is as portable and as convenient as possible. Noise level: Although every coffee machine is going to make some noise during the brewing process, where possible without taking away from quality we look to minimise the noise created. Our design team has been heavily focused on the electrical interface and how users will interact with The Porta Presso through use of the built in LCD screen. We have designed multiple different display options and have since narrowed it down to 3 different types that we envision being a good fit for The Porta Presso with each different option having its own advantages. Design 1: 100% touch screen controlled with no buttons. This option would have the user simply tapping on the LCD screen to select their options. Advantages compared to other designs include it being easy to select the option you want by simply tapping on a picture instead if having to scroll through the options until you get to the option you want to select. Design 2: Three physical click buttons and no touch function. This option would have users navigate through the settings menu and select their options via the use of physical buttons that they would click. Advantages include that the overall machine would be more durable not having to rely on the touch function. Design 3: A singular multi purpose rotatable button and optional touch screen. This button would be used to power on and off The Porta Presso as well as being able to be rotated either way to select options. Touch screen will also be available with users being able to swipe either way to select options. Advantages include the possibility of having more information about each coffee visible on each screen because not all the coffees will be needing to be on the same screen. Although these designs are only rough at this point our design team will be working hard on them at the same time our engineering team works on the physical components. We welcome your opinion and if you wish to have your say and give us your feedback please feel free to click here to be taken to our website where you can let us know your thoughts. While this is completely optional we would love your input as this will be taken into consideration when finalising our design and user interface. 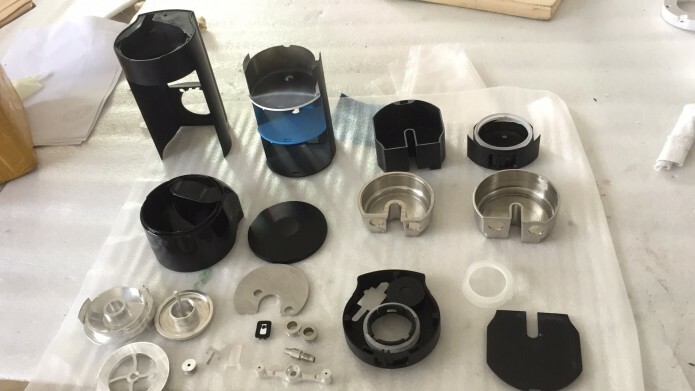 We’re in the process of refining every aspect of The Porta Presso. Everything thus far is on schedule. Thanks for your ongoing support. Please note that extensive engineering has also since been completed on the mechanical side of the PortaPresso however this information is confidential at this stage due to intellectual property protection. It’s not too late yet. If you know friends or family who would like to purchase The Porta Presso, direct them to our website www.theportapresso.com where they can purchase the device for a pre-order price and also purchase add-ons such as additional cups and beans. Over the past few weeks we have been working on developing the software to interact with the hardware. We can now operate the valving and selection process via our test components. We are currently using 3 separate buttons to make the desired coffee selection. The first button is “select/enter” for when you chose your desired coffee. The second button is “next,” this scrolls through options. The third button is a “back” command, say your on the select number of shots stage but you want to change what coffee you selected it allows you to move back and do so. Three buttons give it a minimalist look and can sit flush with the machine housing. Throughout the selection process, prompts will be displayed on a LCD screen along with the current choice. We are aiming for a balance between something like a GoPro where there isn’t enough selection prompting, while still maintaining the minimalist look and not over complicating the selection process. Once prompted with the select coffee screen and with the use of the next button, you can scroll through your various coffee types. This selection is on a loop so if you keep pressing the next button you will eventually come around to the start of the list again - as shown below. When happy with the choice the user presses the select button which will take them to the select shot selection. Once Coffee and shot selection is made you will be prompted with the option to start the coffee making process while maintaining the ability to go back and change your selections. When start is selected the appropriate settings for the choice will be sent through to the motor. The motor controls how much water and milk is used along with frothing time and valve selection. While this is happening another motor controls the tamp and grinding settings beginning the coffee making process. The Porta Presso has been designed with an autonomous inter face in mind. Wanting the user to be able to select the desired coffee, start, the machine. and step away without any other input required (e.g. grinding, tamping, frothing). As seen on the mock-up below. Cup Detail: The cup now has a pattern that matches the ‘backpack’ of the main body when it is screwed on. This makes it more intuitive for the user to properly line the cup when screwing it on. As seen on the mock-up below. Adjustable Grind Setting: We have added the grind density adjuster to the side of The Porta Presso, it was strongly recommended we had the adjuster by our coffee mechanic. This adjuster allows the user to fine tune the density of the grind creating the optimum coffee. By having this manual it removes the need to add any extra motors or circuitry keeping The Porta Presso as small as possible. As seen on the mock-up below. This week we have been focusing on refining our test jigs to allow us to generate more accurate test results and test multiple functions at the same time. We consulted with an external espresso mechanic who gave us feedback on the overall system, test jigs and mechanical function. The outcome of this was very positive. The results from the test jig prototype will be included in our next update. Over the past two weeks our team has been hard at work developing The Porta Presso’s grinder and compactor component. Extremely inconsistent: With the manual grinder the beans that were ground first would become finer than the rest and thus would fall to the bottom where the blade was located. Resulting in those same beans continuously being ground with the top layer of beans not getting ground sufficiently. Overall the grind was not fine enough: Meaning that when boiling water is pushed through it with pressure to make the coffee shot it would go through to fast resulting in a weak watery coffee. Time consuming: An impractical amount of time and energy was needed to use the manual grinder. As a result of this, to ensure that The Porta Presso will be able to produce high quality grinds and ultimately make a great tasting coffee we have opted to integrate an automated grinder that will be powered by a lightweight motor. Using an automated grinder allows The Porta Presso to accurately and consistently grind beans to the optimal consistency at ease for the consumer. See photo below for a comparison of beans ground with our automated grinder (Left) compared to a manual grinder (Right). Since adopting an automated grinder into the device, our team has been working on an innovative means of integrating the tamping unit to work alongside the new grinding unit. This tamping system will cater for the sizing constraints of The Porta Presso, ensuring that it remains compact and lightweight. The manual aspect of the tamping system has also been honed throughout this process and we have since opted to automate this aspect, overall automating the entire device for user convenience and eliminating room for human error during the brewing process. We are exploring three potential tamping models, all of which will be tested and revised over the next week to ensure we settle for the most appropriate and effective model. The results from these tests will be included in our next update. With our Indiegogo campaign recently coming to an end we wanted to say thank you to each and every person who has backed The Porta Presso's campaign! We are pleased to say that we have raised over 100% of our set target! Everyone who backed our campaign on Indiegogo will be receiving their Porta Presso before anyone else. For those who missed out on our Indiegogo offer you can still pre order The Porta Presso here at a discounted pre order price! We are now two months fully underway with Global Design & Production who are currently engineering the compressed air system to enable it to exert the optimal amount of pressure to froth the milk and pump the boiled water effectively around the device. Our previous R&D determined this to be the most technical aspect of the project, however, due to extensive research we have been able to navigate thus far without any difficulties. Thanks again to everyone for the support, we are very excited for the upcoming months and hope you all are too.